Bay windows can improve your home’s value – Because bay windows project outward from your home’s exterior walls, this window style can provide an elegant look that can add curb appeal and value. Bay windows allow additional natural light to enter your home – Bay windows use multiple windows to form a panoramic view that can allow more light to enter your home from multiple directions. Bay windows can provide better ventilation – Bay windows have two additional windows that can be opened to give your home more ventilation. Bay windows can help improve various home styles – While this window style may commonly be found in Victorian homes, they’re also a good addition to modern homes. They can be used in various rooms, including the kitchen and living room. A set of bay windows can provide additional space in the form of a banquette-style sitting area or a reading nook. Bay and bow windows are often interchanged and assumed to be the same thing. While they offer your home with the same benefits, these two window types are constructed differently. 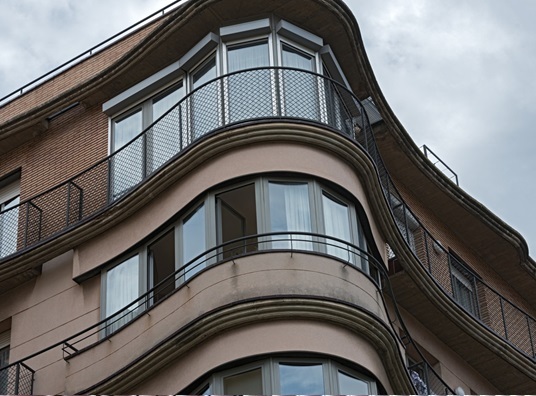 Bay windows have an angled shape, while bow windows have a curved appearance. Our bay and bow replacement windows in Detroit, along with the other window styles that we offer, come with a full screen, an energy-saving glass package, professional installation, a transferable lifetime warranty, and a 25-year glass breakage warranty. With all these features, you can expect that your bay and bow windows from Kroll Construction will not only be providing excellent visual appeal, but improved overall performance as well. Getting bay and bow windows can help add more light, space, and ventilation to your home. Learn more about the window styles we have by giving us a call today!